Home 2017 Valentino Rossi Why is Rossi kneeling next to the Yamaha? Why is Rossi kneeling next to the Yamaha? Does Valentino Rossi love his bike? Why does Romano Fenati start with number 5? Preferred Crutchlow Left or Right Curves? The fan questions from Silverstone - Part 2. At the start of each MotoGP race weekend, the action will begin on Thursday before the traditional «Pre-Event Press Conference». 2017, however, is an innovation. According to the official statements and questions of the journalists, questions are now also answered, which are sent by fans. Fan questions will also be answered at the qualifying press conference on Saturday. Question to Tom Lüthi: Which MotoGP pilots impresses you and why? "Everyone impresses me. But I have a past with Marc. In the Moto2 class, we have delivered exciting battles. Then he got into the MotoGP class and took the title in the same year. That impressed me very much. But they really impress me all. " Question to Cal Crutchlow: Do you like left or right curves? "That's a good question. I feel better in link curves. But I do not know why this is so. No idea. I only know that I am better on routes that lead left. Perhaps also because of the Honda, because we often used the rear wheel brake, which is very difficult in legal curves at 60 percent slant. This does not mean that I can not make it around legal curves. I should probably drive Speedway, "laughed the Briton. 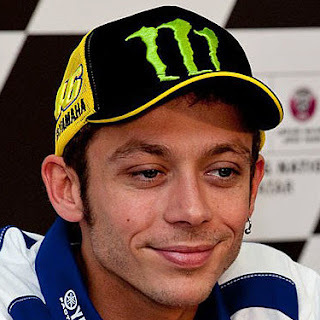 "For me, right-angles are a bit better," Valentino Rossi said. "With me, you just have to look at the results - Austin, Sachsenring ... Everything left," Marc Márquez laughed. 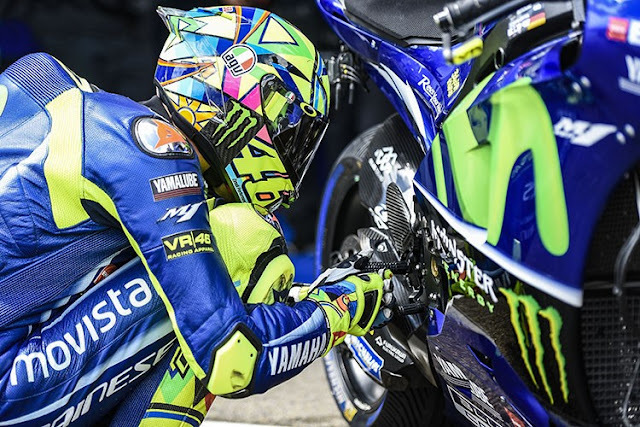 Question to Valentino Rossi: Before the race you kneel often beside your bike. Do you speak with your Yamaha? "This is a thing that started at the beginning of my career. So 30 or 40 years ago, "joked the nine-time world champion. "At the beginning my leather comb was not the perfect size. She was not tailor-made. So it was just to put the leather in the right position. Then I just went on with it. It is a ritual for concentration. But I'm not talking about the bike, right now. " Question to Marc Márquez: What is your favorite part of a racing day? "The last laps ... I also like the first round, because we're still going all together. But I love the last few laps. Especially in a large group it is really fun. I enjoy it. In addition to the race? The platform, "laughs Márquez. "Before the race is not so much fun. But if you have a good result and then go to your mechanics, it's an incredible feeling. " How can a fan now submit his question? It's simple: on the social media pages of the MotoGP World Championship on Twitter, Instagram and Facebook, with the Hashtag of the respective Grand Prix, for example #QatarGP and the Hashtag of the rider to which the question is addressed, for example #AskRossi. The call for when the questions can be sent via social media will take place on the respective channels a few days before the start of the race weekend. Each selected fan question and the response from the GP pilots will be shown live on Facebook.